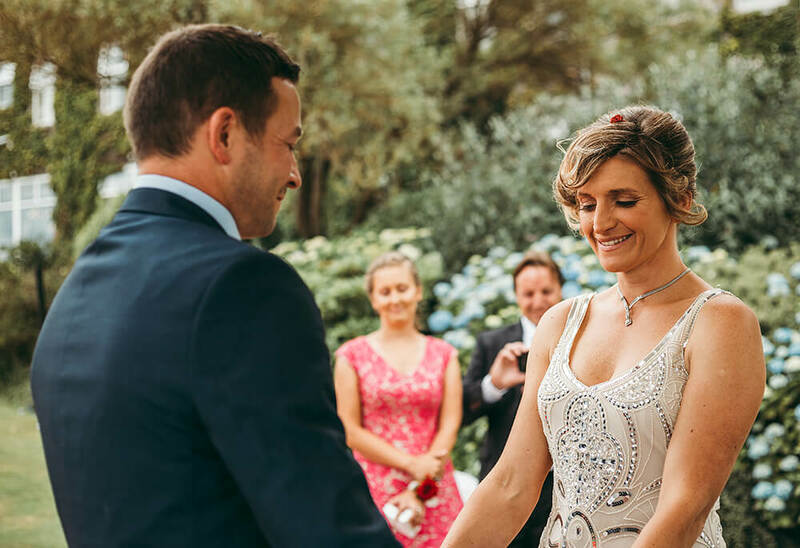 With cliff top views overlooking picturesque St Austell Bay in Cornwall, this four star luxury hotel is an idyllic place to celebrate your wedding day with those closest to you. With over 30 years experience, they are experts in the field at making your wedding day truly special. To ensure your wedding runs smoothly, all couples are appointed a dedicated wedding planner from the start to assist in the arrangements. 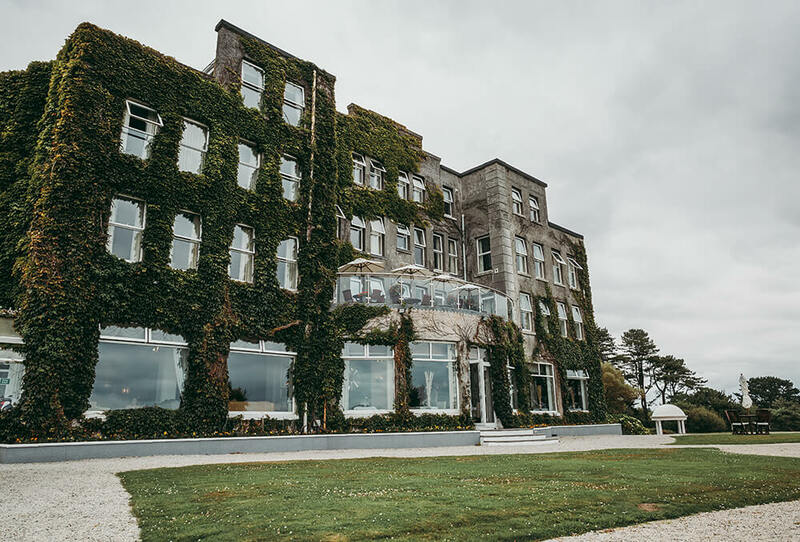 The Carlyon Bay Hotel has a luxurious interior and magnificent grounds, presenting the perfect setting for your wedding and has an abundance of opportunity for wedding photography. The grounds are kept to the highest standard and contain a variety of flowering trees and bushes. It even has it’s very own 18 hole championship golf course and helipad. Licensed for civil ceremonies or partnerships, there is a choice of beautifully appointed rooms for your service with space for up to 200 guests. 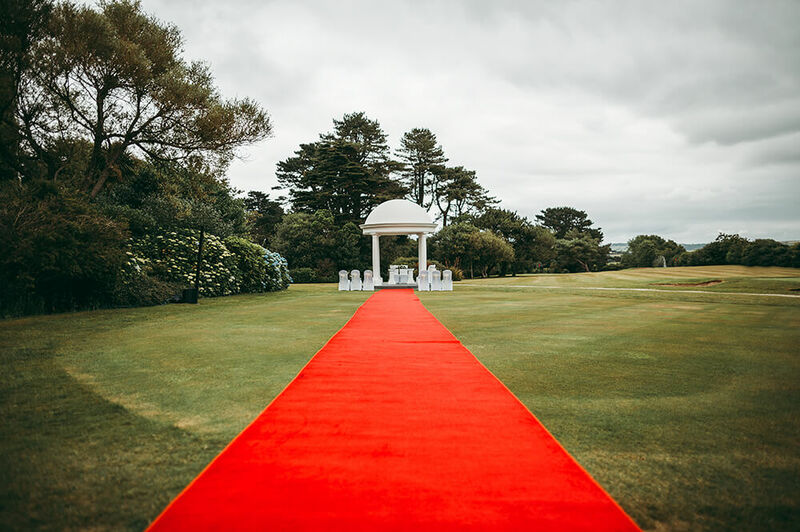 If you would prefer to get married outside, then the hotel has a beautiful gazebo set out on the lawn which overlooks the spectacular St Austell Bay. If you have your heart set on some portraits by the sea, then just a short distance from the hotel is the beach. Stretching almost two miles in length, three beaches combine to create a stunning setting at Carlyon Bay. 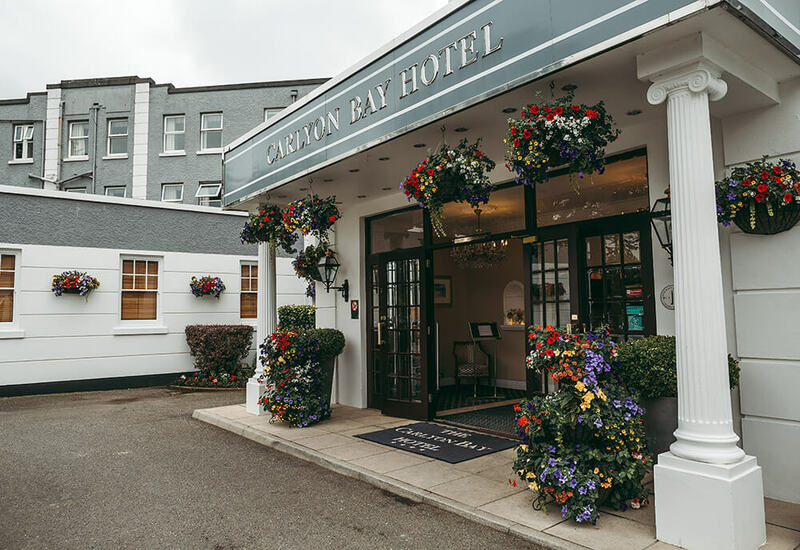 All that being said, the Carlyon Bay Hotel is a wonderful venue to hold your wedding and a popular choice with couples looking to tie the knot in Cornwall. To view a wedding that I have photographed at The Carlyon Bay Hotel, please take a look here. If you are getting married at The Carlyon Bay Hotel in St Austell, Cornwall and are looking for a wedding photographer to capture your special day, please contact me to find out about the competitive rates I offer for weddings within a 5 mile radius of St Austell.